This bench is an outstanding addition to any workout space - for positioning support when you're exercising and for a maximum workout with versatility. This bench has 5 positions so you can adjust the bench to one of five positions and you can add a variety of new and powerful exercises. It is the perfect way to transform your exercise room into a personal fitness center. *	Well built with a sturdy frame to last long with heavy-duty commercial quality steel. 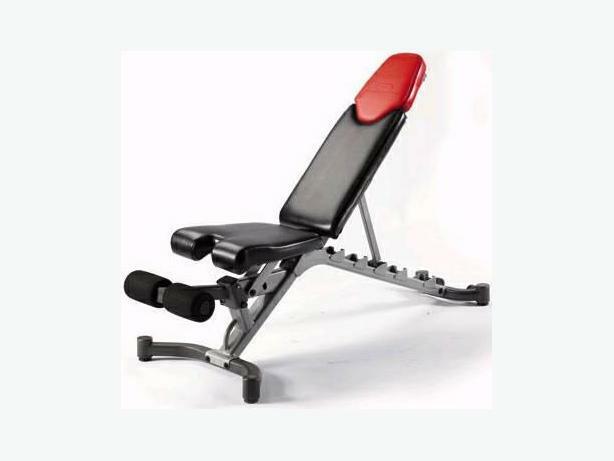 *	Helps with posture and stabilizes positioning for a safe, muscle-building free weight workout. *	Built in wheels for easy storage. *	I comes with a removable leg hold-down brace for added decline position support. *	Adjusts to 5 different positions for total versatility: upright to flat and declined!